I am a bit late to the party with this particular Memebox Korean beauty box because their changed shipping means it took nearly 2 weeks to arrive in the UK. There have already been reviews of this box, Anti Aging 3, online – so why has no one been flipping out about the Tibetan mushroom neck cream? How normalised to odd ingredients have Memeboxers become? Is it me or is that just not an ingredient you meet every day? It was strange enough when they sent me the cleanser with real Bulgarian rose petals in it. I never did work out what rose petals from Bulgaria were doing in a Korean facial cleanser. And now we have the Tibetan mushrooms to contend with. Why mushrooms? Why from Tibet? Does the Dalai Lama know? What exactly are Tibetan mushrooms supposed to do for your neck? How do they know they’re even on your neck? I can feel Nora Ephron’s eyebrows rising in her grave from here. No more feeling bad about your neck once you apply the Tibetan mushrooms, Nora. 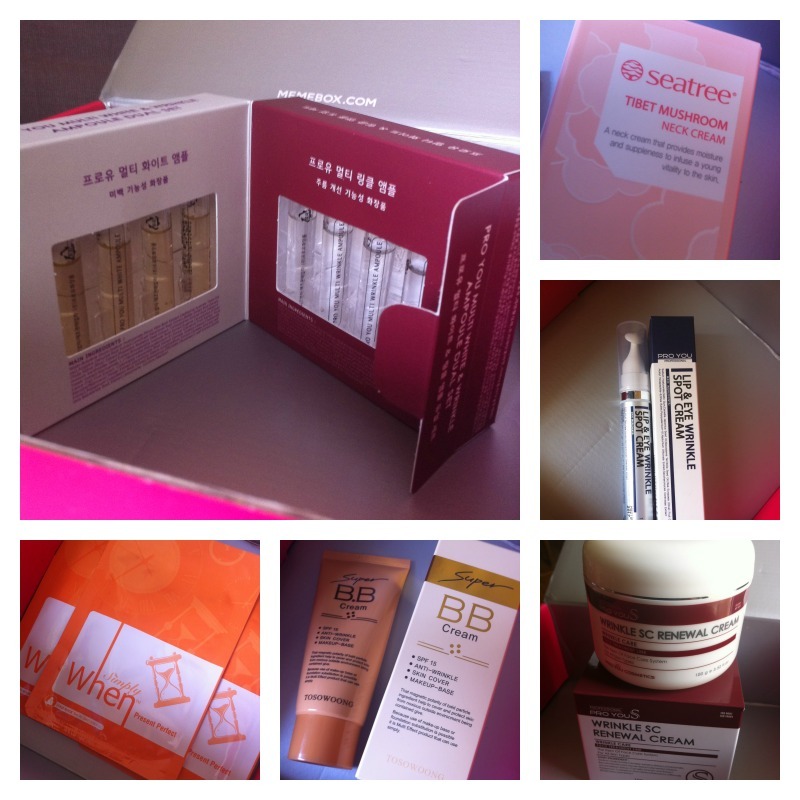 Anti Aging 3 is part of a regular series of Korean beauty boxes from Memebox so I guess number 4 will be along soon. The first two were out of my price range at $59, so when this one was released at $39 it seemed like a comparative bargain. The first two got rave reviews and at first glance this seems like a good one too. A big part of the Memebox game is trying to predict which boxes will be the good ones and so far this series has a great track record. Holy moly guacamole – hundred dollar face cream! Memebox is known to inflate the value of these items but even so, this doesn’t look like it was scraped off the floor of the dollar store. Contains amino peptides. I don’t know what those are but apparently they’re good for you. I’m hoping that the reference to Wrinkle Renewal is an unfortunate translation. I don’t want my wrinkles renewed. I can do that by myself without the help of fancy face cream. 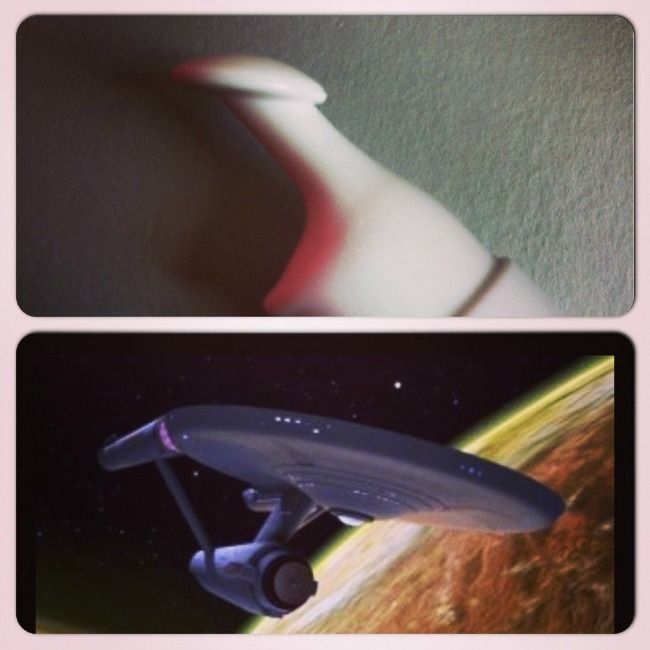 I actually did a fangirl geeksqueal when I opened this up because the applicator looks like the Starship Enterprise. 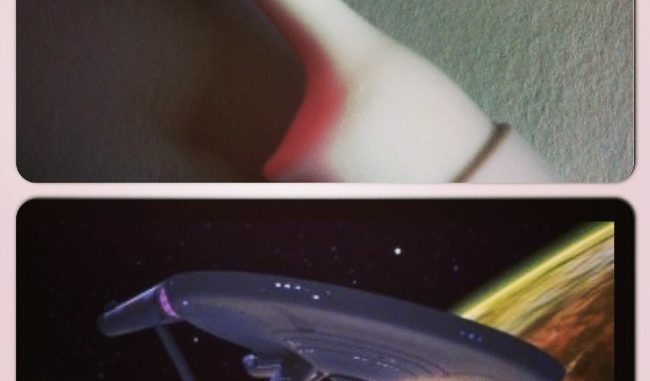 Beam me up, Memebox. An ampoule is like a very concentrated serum, so you only need a few drops at a time. This little set should last a while and looks super cute. I love the way the sets of tiny glass vials fold in together like a book. This feels like the kind of skincare a scientist would use. Great to get a full size BB cream, but I’m surprised it only has an SPF of 15. Protecting your skin from the sun is one of the few anti-aging techniques that the experts agree works. Therefore I wear a BB cream with a high SPF every day, usually at least SPF 42. SPF 15 seems low but maybe it will do for the winter. Love a sheet mask, so easy and effective to use. Great to see three in here. Neck mushrooms, what can I say? If it doesn’t do anything for your neck you can use it in a stir fry. Whilst it may not be the most glam box in the world, I feel very happy with all these products which will keep me going throughout the winter. I like that three of them come from the same brand as it feels like a skincare system that will work well together. 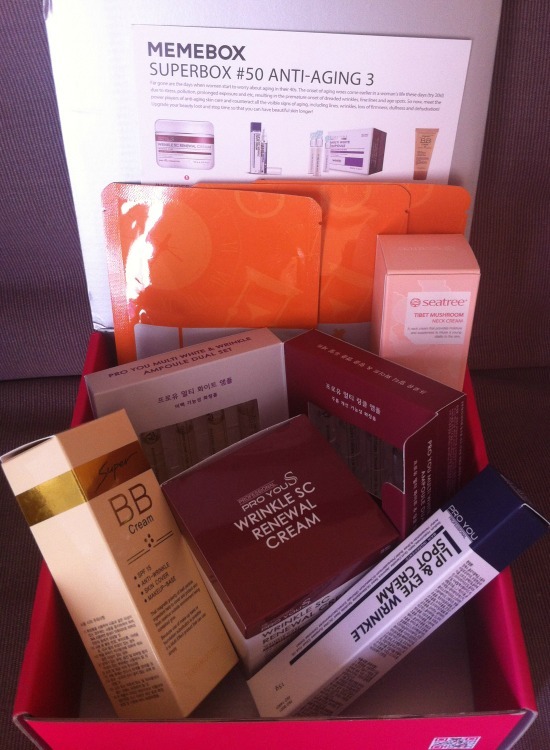 The ampoules and the lip & eye cream look incredibly cool and the mushroom neck cream has had me chuckling for days. This Memebox has sold out, but other interesting-looking beauty boxes currently in stock include the Wine and Cheese box (I’ve ordered that – how could I not? ), Chocolate Mania themed box and the Yogurt box.